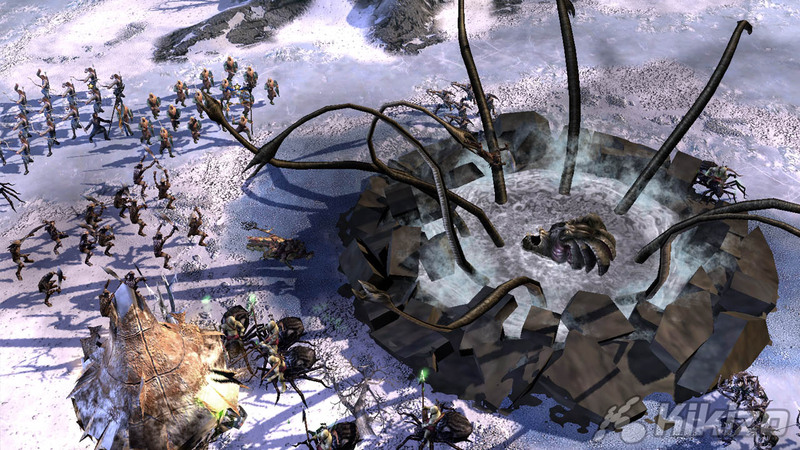 It's the first big RTS for Xbox 360, but does it survive the transition to console? 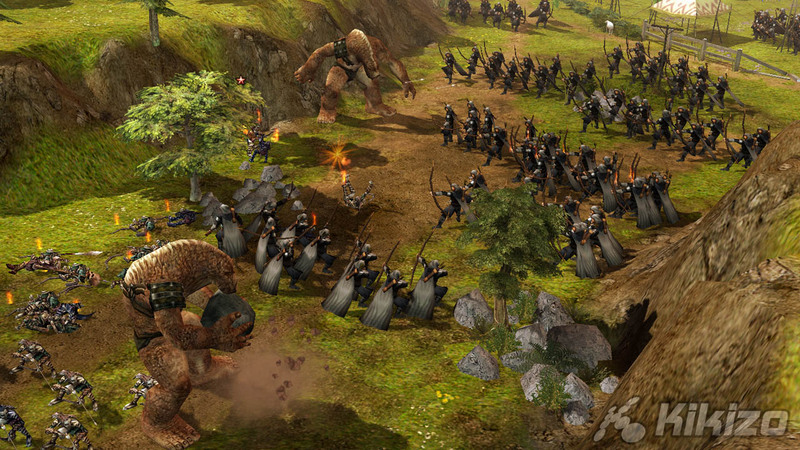 Lord of the Rings: Battle for Middle-Earth II is the first real-time strategy game for the Xbox 360, a port from the PC title of the same name. So, as a real time strategy game and a PC port, how does it play without a mouse is the burning question! The answer, surprisingly, is very well indeed. Set in Tolkien's expansive Middle-Earth, Lord Of the Rings tells the story of a young hobbit who finds the most powerful, all-corrupting ring in the universe, and his quest to destroy it. Luckily, Middle-Earth erupts into full blown war as the orcs and other minions of Sauron, the Ring's maker, scour the land to find it. Which is good for us, because without full-scale war this title might involve you sending units of hobbits to farm corn and trade at the market. 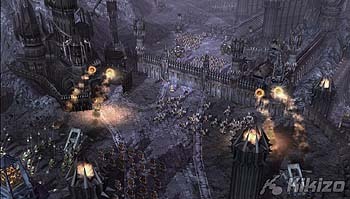 While the game takes its visual cue from Peter Jackson's vision of Middle-Earth, it also draws from Tolkien's rich work. 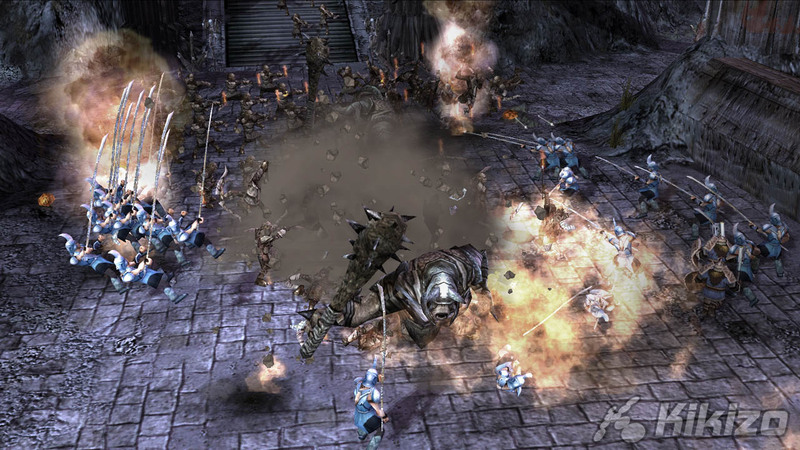 Battles fought that were mentioned by Tolkien but cut from the film, and characters chopped by Jackson due to time constraints can be seen in the game. Those who haven't read the books might not appreciate Tom Bombadil's entrance, but it certainly made me smile! Graphically, the game looks crisp and all the detail is well rendered. 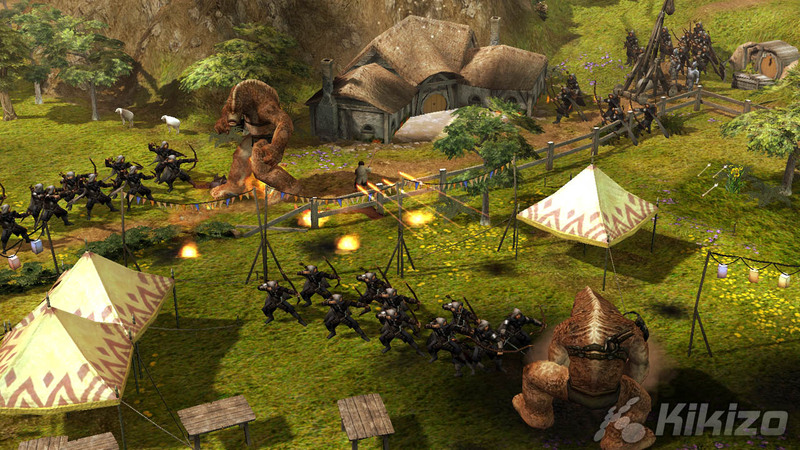 You'll recognise the trolls as they stroll round the battlefield, sending troops flying and clearing circles around themselves in one swipe of their great clubs. Again, this is much in spirit with Jackson's films, and captures the feel of the epic battles from the movies perfectly. 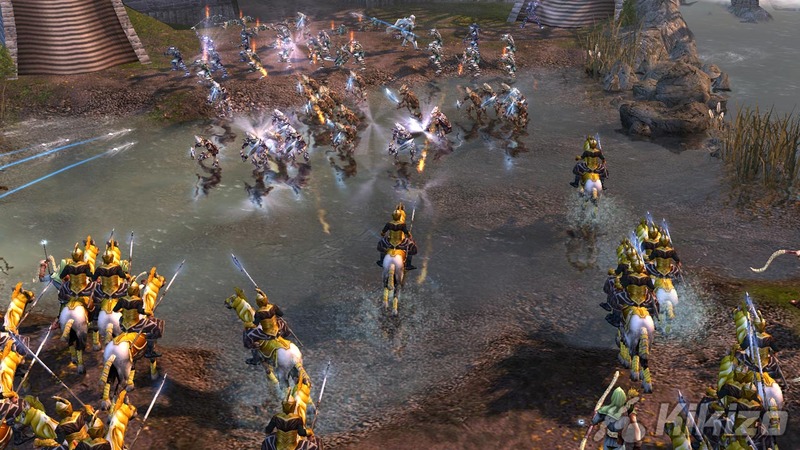 Other units such as Uruk Hai and Warg Riders all make appearances as well, and of course the Men, Elves and Dwarfs all have their own troops and speciality units. 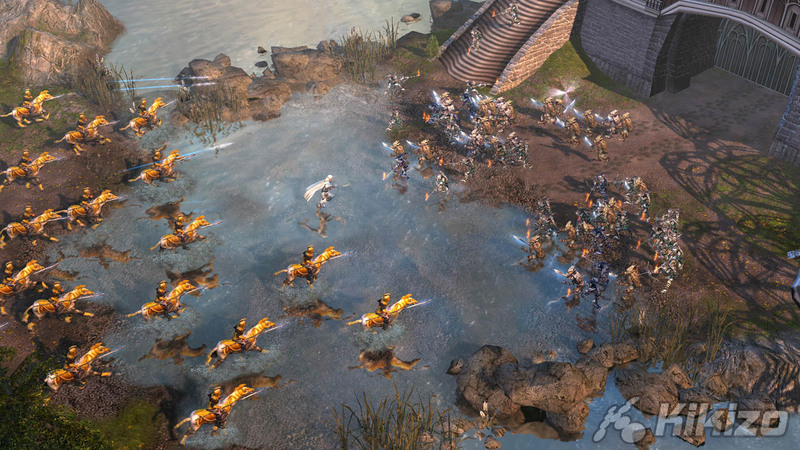 Should all game graphics now be judged on the water? 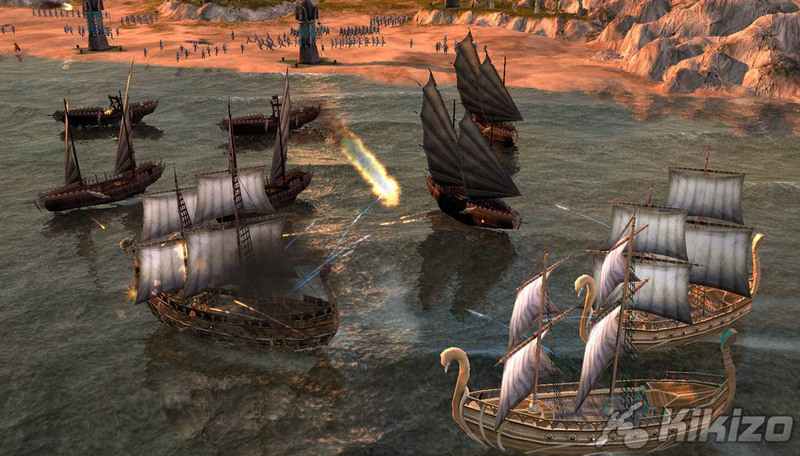 It seems to be one point that always impresses, and in BFME2 the seas look astonishingly realistic. 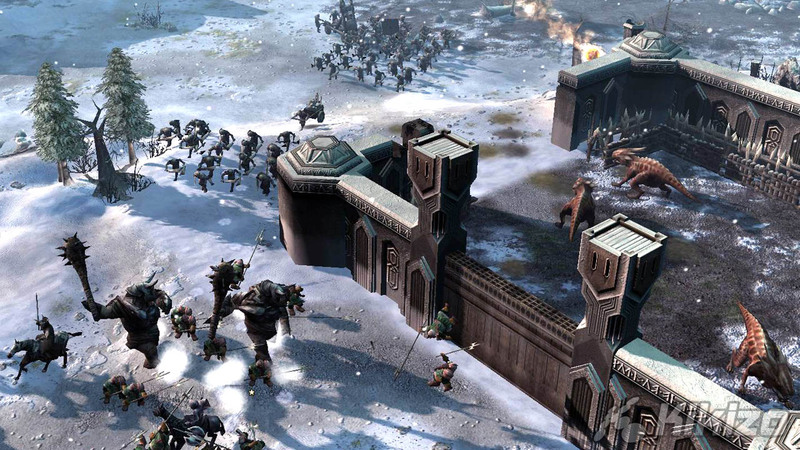 Zooming in on your troops shows the detail that has went into the game, however this is very impractical during gameplay as you need to see as much of the battlefield as possible. When zoomed out, as you will be most of the time, the game looks very good but lacks that spark to make it outstanding. The map of the world as you pick options on the main menu screen is magnificent - giant Eagles and Nazgul circle over parts of the land, and the Volcano at the heart of Mordor billows smoke out. 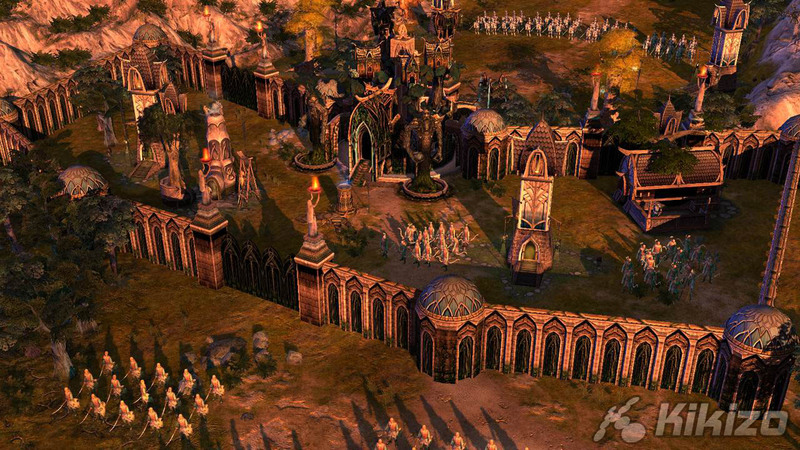 An inspiring touch that makes you feel like you are looking down on Middle-Earth from a very high orbit In the campaign mode, levels are shown on this map and you can see where each battle takes place in relation to the others. 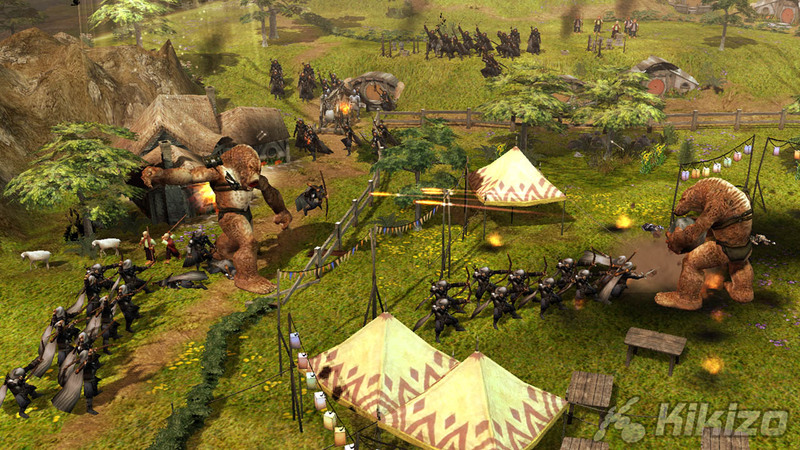 Cut scenes introduce the levels as the campaigns start out with oil-painting style landscapes, which "come to life". This is a very nice touch, and explains the reason why you're battling, as most of the battles you fight were not in the movies. We assume this is because the battles in the movies were in the first BFME. 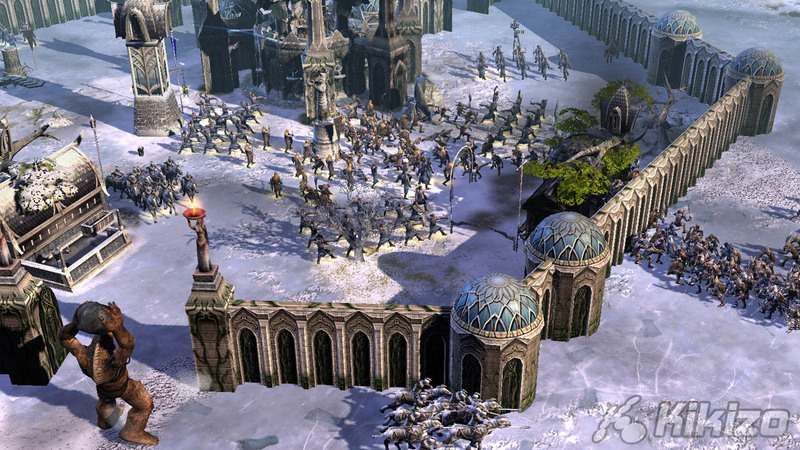 Controlling your troops on the battlefield is a sticking point for any RTS game on consoles. 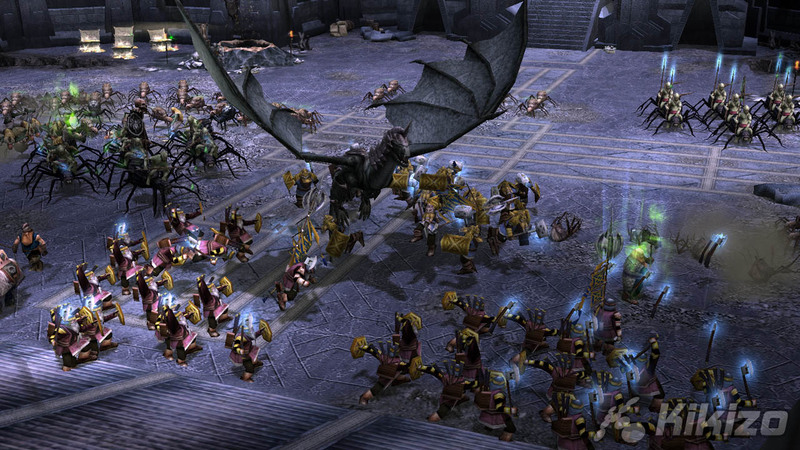 LOTR:BFMEII gets over this with a reasonably intuitive system which lets you select your whole army and troops on screen, or units of a certain type with a few combinations of the left and right triggers and the A button. It's not flawless and does take some getting used to, however the two training missions will show you the basics, and the first few levels of the campaign will ease you in so you get a proper feel for them. My main complaint is that, while there's a map at the bottom left corner of the screen, most PC games would allow you to click on it to zoom to that point. This is not possible on the Xbox 360 game. Flash points can be zoomed to with the Y button, however if you have sent troops on the march and deselected them, you will have to find them yourself to change their orders. 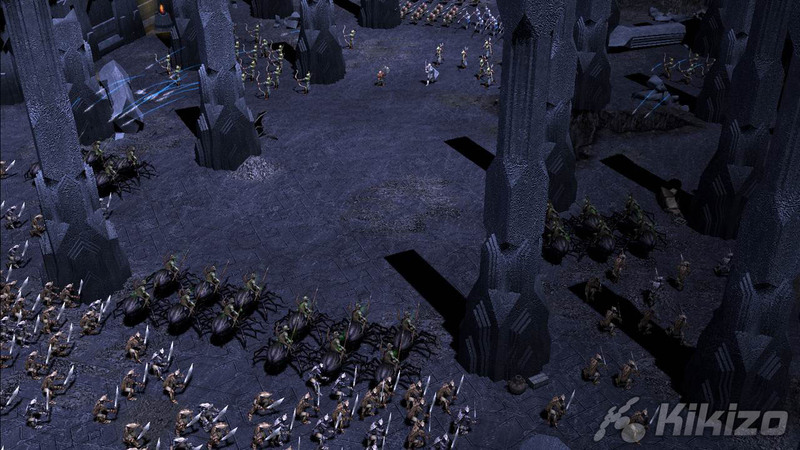 LOTR:BFMEII is almost a top-down view, with a slight angle on it so you see more than people's heads. The game lets spin the screen round so you can look at the battlefield from any angle. This is useful to find troops stationed behind buildings, however if you look to your map and try to move your cursor north, south, east or west you will find your controls become inverted depending on the angle you have the screen at. This can prove problematic when you really need a unit of cavalry or such to move somewhere else in a hurry. 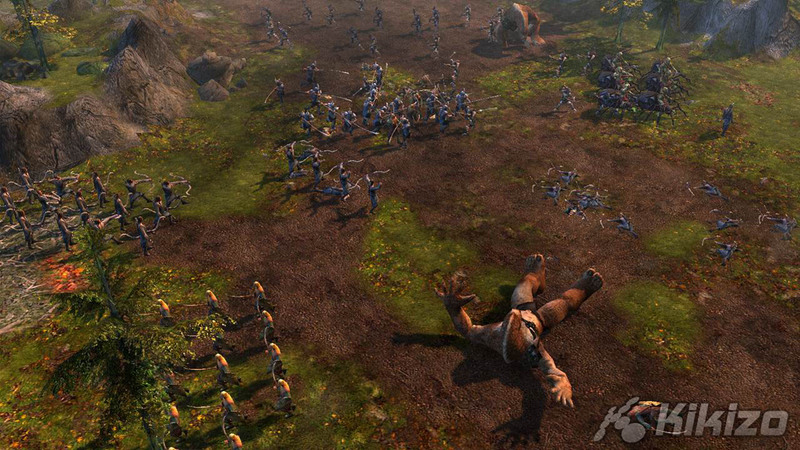 Selecting units and giving them orders provides lots of great sound, with the units shouting out commands to each other, like "Get a move on men!". The dwarfs are my favourites thanks to their "Scottish" accents, but the slithery voices of the orcs and goblins are all good. 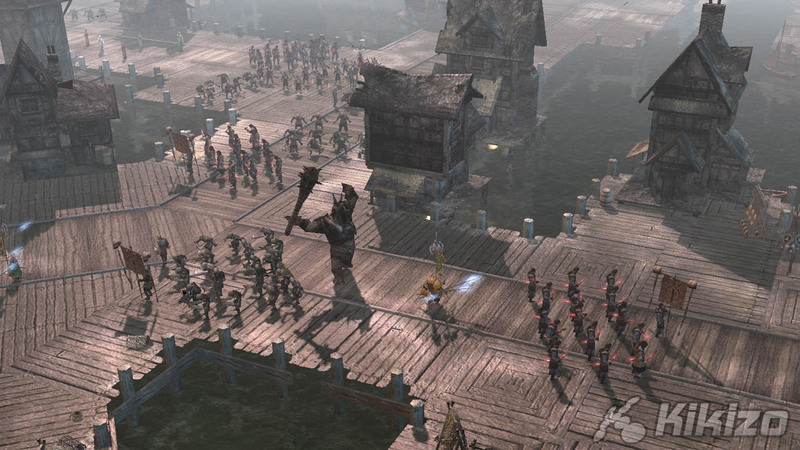 The stomp of units marching really gets you fired up and the final cry of "Ch-aaaaarge!" when you double click on opponent units is great. Other effects, like smashing rocks, steel on steel and eagle and Nazgul calls are all really well done. 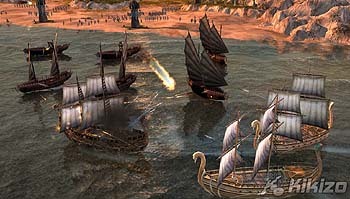 The themes from the movies provides background music for the game and is certainly emotive enough to keep your attention and bolster you into action. Once you're past the initial training levels, the Campaign modes are well designed levels and missions, with plenty of secondary objectives to complete apart from the obligatory "Kill the enemies!". There are two campaigns to complete for the single player; one for the forces of Good and one for Evil. The campaign starts out easily enough, however you will have to use all your skills and tactical timing to clear the later missions. 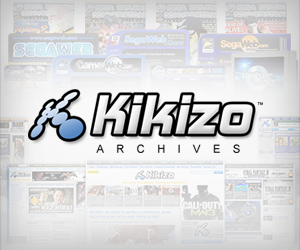 The campaigns are not overly long, and I think those without online capability will be slightly disappointed. To alleviate any feelings of despair when you have finished the game, EA have included a skirmish mode. This lets you play battles against the computer controlled armies on maps designed to be fought on again and again. 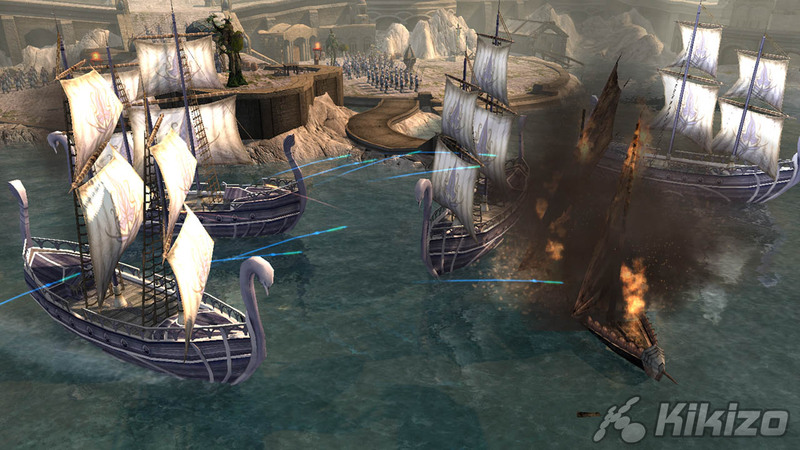 Multiplayer online is really where LOTR:BFMEII excels. It's tremendous fun to pick one of many races available to you and fight against friends and strangers on the many multiplayer maps. Although most of the races have the same basic troops, there's good variation in the heroes for each race and some of their structures and advancement i.e. new armour and weapons. 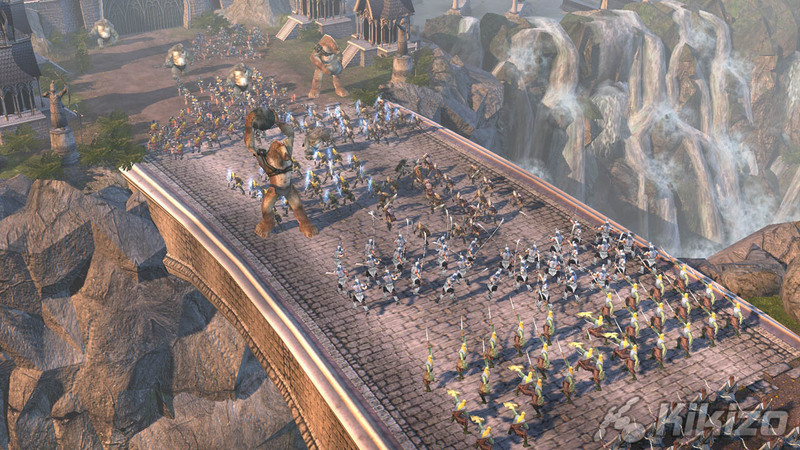 As the first real-time strategy game on 360, LOTR:BFME2 does well not only on the strength of its license, or even for lack of competition, but because it stands alone as a very good example of the genre. The one major flaw with movement around the map is easily overlooked in a game that's this much fun and manages to capture the feel of the movies without tediously retreading what happened in them. While the single player campaign could have been longer, the extra skirmish option provides more playability and online or linked up against friends you will have a blast. 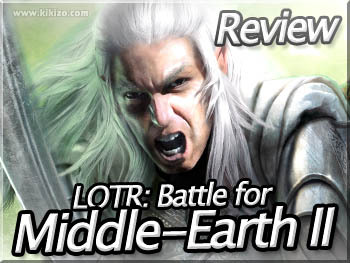 THE VERDICT: Battle for Middle-Earth II never quite manages to hit glorious new heights or push boundaries, but what it does it does well, with a Tolkien/Jackson sheen that will please anyone who has enjoyed the movies or RTS games.